This morning the markets opened lower, dropping under the 50dma in early trade. If this sell-off continues, it will be the 6th consecutive down-day for the S&P500. There isn’t one key news story driving this slide and it is largely attributed to a combination of strong dollar, economic concern, and disappointing earnings outlooks. The lack of a single key trigger has kept the slide more controlled up to this point, but this grind lower could elevate anxiety and eventually trigger an emotional run for the exits if it hits critical mass at some point. 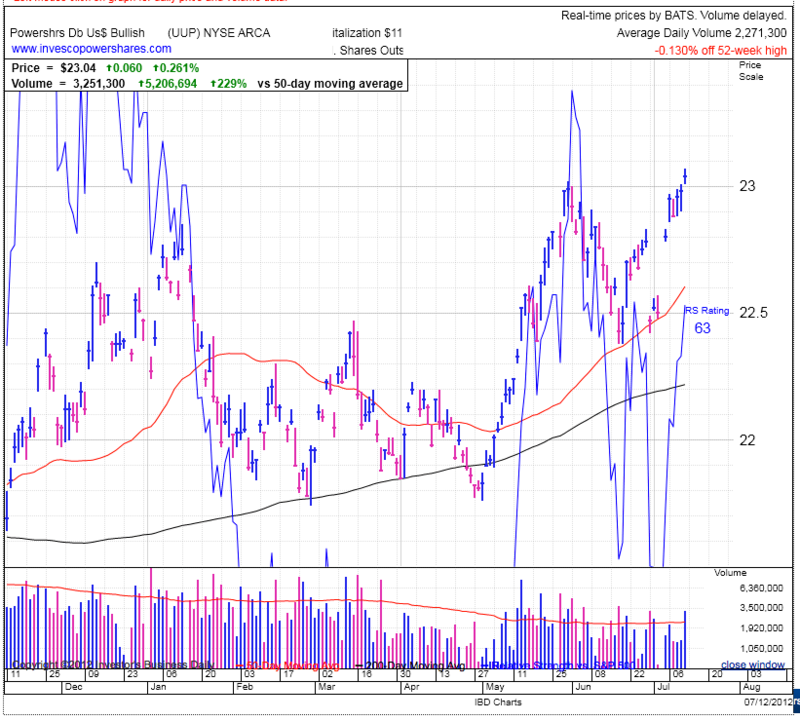 The silver lining is violating the 50dma didn’t trigger an avalanche of selling and we are stable for the time being. This is giving investors time to evaluate the situation and allowing nervous holders to hang on a little longer. But all these traders have their fingers on the sell button and any additional weakness could lead to another leg down. 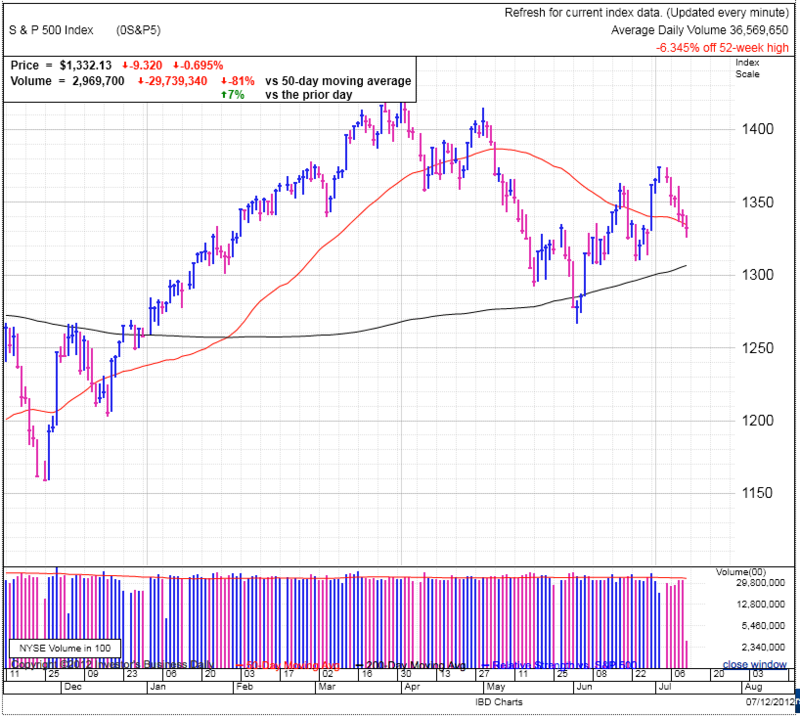 The 200dma is not far under the market and will be the next key technical level along with June 25th’s low. But don’t let these small declines lull you into complacency like the lobster who never realized he was being boiled to death because the water temperature was only increased on him one degree at a time. Use hard stop-losses and stick to them no matter how benign a decline feels. Often the market takes your money slowly at first. From my observations, it seems the recent rally was a combination of a short-squeeze and premature optimism by eager bulls. These are unsustainable phenomena by themselves and it doesn’t take bad news to deflate a rally built on a weak foundation. We simply ran out of buyers willing to commit new money at those higher levels given everything else going on in the world. With a vacuum of buyers, the market will decline until it falls to the level where large value buyers find themselves unable to resist all the discounts they see. This value buying is what finally puts a floor under the market. By late morning the indexes are off their bottom and trying to retake the 50dma. But are these the large value buyers stepping in to support the market, or is this support from a handful reckless gamblers trying to pick the bottom? My guess is the latter, but as I pointed out yesterday, foreign exchange is in the driver’s seat right now and the interaction between the Euro and USD will most likely dictate where we go from here.